It’s been a year since Toddler Sense arrived in Stockport with class leader Jill Toogood. My little one and I have been there since the start, and I can honestly say it’s one of the highlights of our week. Not only is it a great concept for a toddler class, but the enthusiasm and energy Jill brings week in, week out makes it truly special! I’ve been chatting to Jill about how it all started and what’s in store for next year. So, tell us a little more about you? I’ve lived in Stockport nearly all my life – my family moved to Bramhall when I was 3, and now I live in Cheadle Hulme with my fiancé Lee and our 3 children. Before I started Toddler Sense I worked as a Retail trainer and then became on Ofsted registered childminder where I learnt so much about how children learn and develop within the Early Years Foundation Stage. 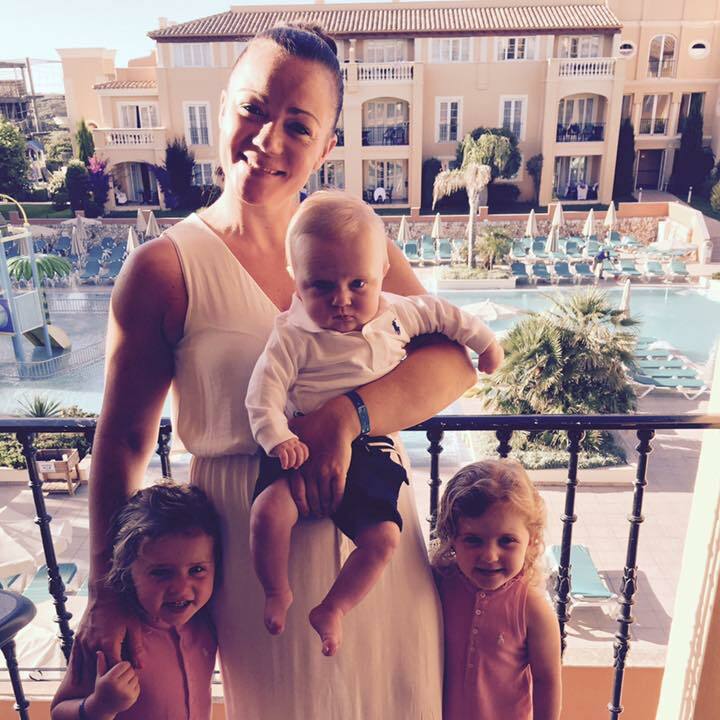 I absolutely loved my job but had to rethink when I became pregnant with twins!! I was a ‘full- time mum’ to my girls right up until they started preschool – juggling double nappies/bottles/sleep routines/teething/tantrums! This certainly helped me learn how to work under pressure! When the girls were ready for preschool I fell pregnant with my youngest, my gorgeous baby boy, now 22 months. How did you come to run Toddler Sense? I began attending Baby Sensory classes with my little boy when he was 12 weeks old and continued until he was 13 months. I truly loved the wealth of childhood development opportunities each class provided, along with a real good sense of fun for both babies and parents! Natalie who runs the classes told me about Toddler Sense – I went along to watch a class in a different area to see what it was all about. I fell in love with it straightaway and couldn’t wait to share it with toddlers and parents in Stockport. For those that don’t know, what is Toddler Sense? Toddler Sense is a multi-award winning activity programme, which introduces toddlers to a whole new world of adventure after Baby Sensory. The activities are designed to keep toddlers and children busy, active, and stimulated by offering them a magical, multi-adventure experience in a safe and happy environment. What can parents and toddlers expect at a typical class? 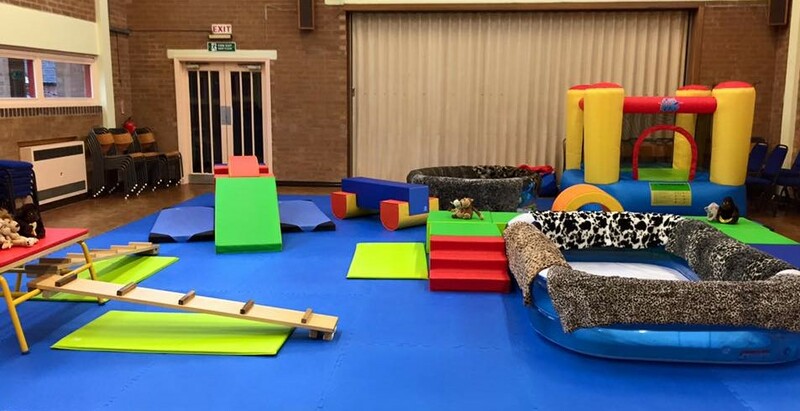 Each week has a unique theme is meticulously constructed to stimulate the child’s brain, co-ordination and physical development whilst enhancing their knowledge and understanding of the world. Sessions are an hour long and start with adventure in exploratory play time which is a great way of settling the children, letting them burn off energy and encouraging catch-up time between mums and dads. Then it’s mat time – toddlers like the familiarity of our ‘How Do You Do? Song, which is followed by 20-30 minutes of activities and music, rhythm sticks, parachutes, giant air balls and action songs. This is followed by time for adventure – we’re off again, entertaining a place rich in sensory stimulation and wonder. Each week you will find yourself transported to whole new worlds, and no two sessions are ever the same. Finally, it’s back to the mats for our ‘Say Goodbye’ song. What have been the highlights of the last 12 months? It sounds cheesy but I can genuinely say I LOVE my job and every single class is a highlight! It is so lovely to see the toddlers learning and developing week on week, watching their little faces as they learn through structured play. Earlier this year, all across the UK, toddlers and babies took part in a Special Superhero’s Sensathon class to raise money for Tommy’s, a charity close to many hearts. It was an absolute honour to be a part of the event – not only did we have the best fun but as a company we managed to raise £422,374 which is enough to fund a Tommy’s centre for a whole year, helping 27,000 families. Our wonderful toddlers were sponsored by their families and friends to take part in the Superhero class and as a group we managed to contribute £3797 towards the overall total. So what’s in store for next term? The New Year term will run from Monday 9th January and will run until Friday 10th March. Themes will include Alien Adventure, Valentines, Yellow Submarine and Nature Trail – I can’t wait! Toddler Sense runs at various times on Mondays in Heaton Mersey, Tuesdays in Cheadle Hulme and Fridays in Davenport. Classes are split into 2 groups – New Explorers (13-20 months) & Adventurers (20 months – 4 years). Booking for Toddler Sense’s New Year term opens on Saturday 3rd December. You can find all the class times and locations and book onto a class http://www.babysensory.com/en/toddlerclassdetails/Stockport. If you would like a place for your little one, make sure you log on as soon as you can once booking is open as some classes fill up very quickly.